This little skipper is local in distribution, but can be common where it occurs. Often, in its habitat where its caterpillar host plant, a type of grass, is abundant, several individuals can be seen fluttering together at low level. With a wingspan of only 20-22mm, it is a small butterfly and can often be missed, as it zips around the grassy patches. 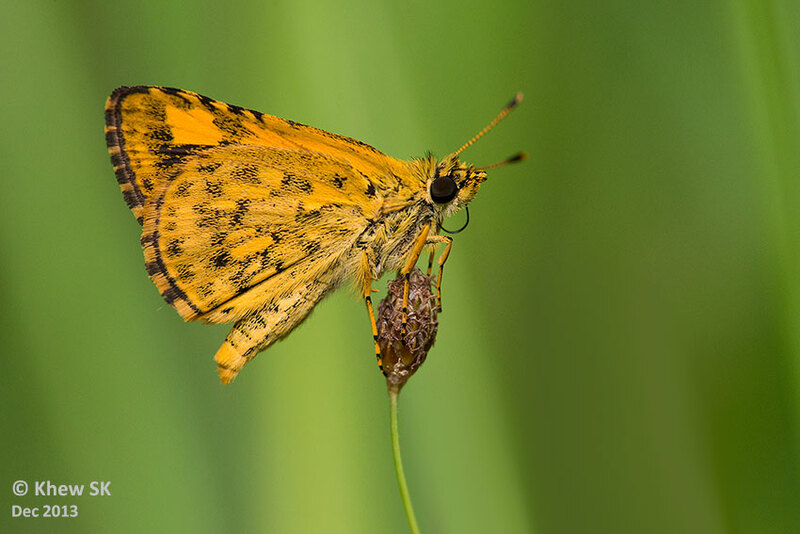 Males have a tendency to open and close their wings repeatedly as they stop and perch, unlike other skippers. The male has more extensive orange on the forewings above, compared to the female, which is predominantly brown in appearance, with smaller yellowish spots. The underside is orange with spots and streaks typical of this species. In the shot above, this pristine male perches on a grass flower as it takes a rest from feeding.